Pert and pretty partners that make a wonderful fashion combination anytime, anywhere. Pop on the contrasting bolero for chilly temperatures or a covered-up look. Solo in the young profile princess with sunburst neckline. I really enjoy this style of dress. There is just something about the shape of it that makes me weak in the knees. 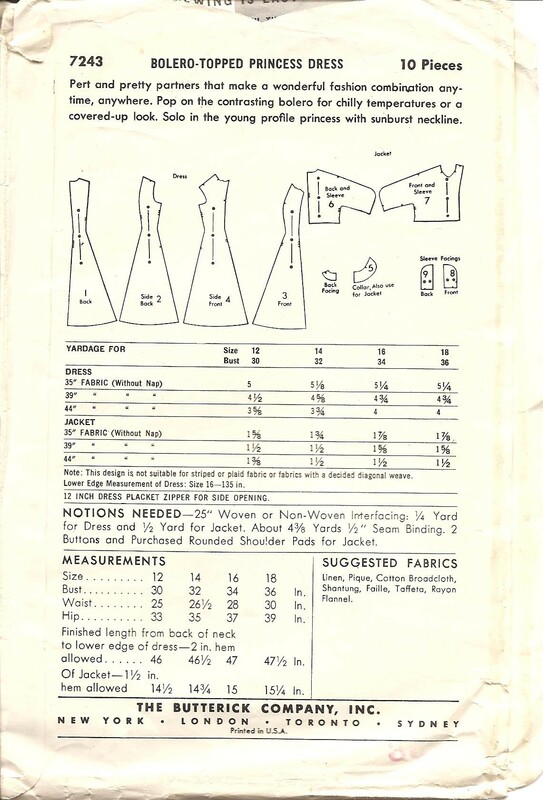 ^_^ The pattern shows the dress being made in four panels that extend from the bodice down to the skirt, making it look rather simple to construct. 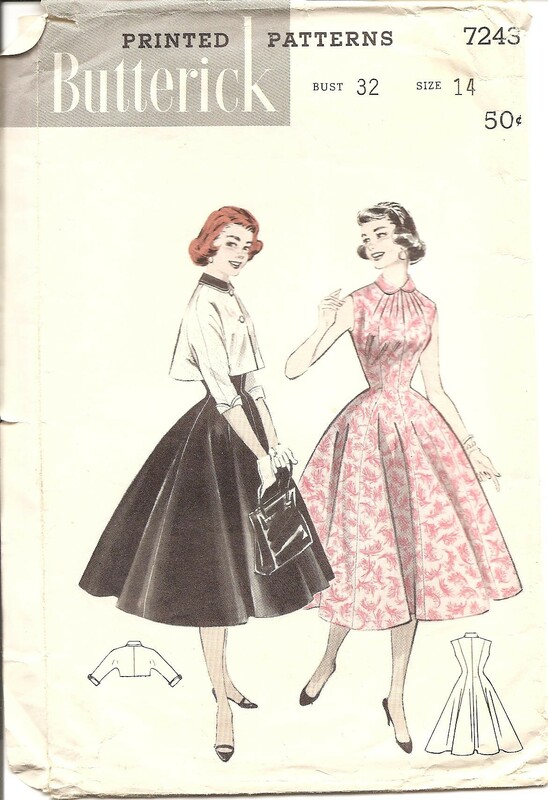 Once I figure out how to reshape and size the patterns to fit me correctly, I will definitely be making this dress.